Buy your Champions League Tickets and Champions League Final tickets for the 2019 final to be played in Estadio Wanda Metropolitana, Madrid on Saturday 1 June at 19:45 BST. You can buy your UEFA Champions League tickets through our secure online booking system. The favourites for the 2019 title are once again big teams like Bayern Munich, Real Madrid, Paris Saint Germain and Barcelona. The Champions League is Europe’s most prestigious club tournament. The best clubs of Europe battle for Ol’ Big Ears. Book your Champions League tickets through our secure booking system and watch some of Europe’s best players live in action. We have Champions League tickets available from the qualification matches until the final in Cardiff. Don’t hesitate any longer and book your tickets securely online. 1st4 Football Tickets can provide you with Champions League tickets. The 2019 Champions League Final will take place in the spectacular home-ground of Atletico Madrid called the Wanda Metropolitana. Secure your football tickets for the 2019 Champions League now before it's too late and support your team in their journey to become this year’s UEFA Champions! How can I buy Champions League tickets? You can buy your tickets through our secure booking system. Choose your favourite team, select the match you want to attend and you will see all available tickets. Select the tickets you prefer and order them in a few easy steps. Select your favourite Champions League team, chose the match you want to attend and select the amount of tickets you wish to order. Now you’re entering the order process, you need to select the deliver option and fill in your details to complete your order. The very best teams in Europe compete all season for the European Football Crown in the prestigious Champions League. And of course at the games you will watch some of the top football players in history in live action including superstars Lionel Messi - Barcelona, Argentina; Cristiano Ronaldo - Real Madrid, Portugal; Gareth Bale - Real Madrid, Wales; Neymar - Paris Saint-Germain, Brazil; Luis Suarez - Barcelona, Uruguay; James Rodriguez - Bayern Munich, Colombia; Edinson Cavani - PSG, Uruguay; Luka Modric - Real Madrid, Croatia; Robert Lewandowski - Bayern Munich, Poland; Thomas Muller - Bayern Munich, Germany; Eden Hazard – Chelsea, Belgium; Mario Gotze - Borussia Dortmund, Germany; Hulk - Zenit St Petersburg, Brazil; Mesut Ozil – Arsenal, Germany; Andres Iniesta – Barcelona, Spain; and Sergio Aguero - Man City, Argentina. A tournament with such a big history like the Champions League knows many former top players who participated in the tournament. Every year football fans can vote for their favourite Champions League team on the UEFA website. The UEFA announced the 18 most selected players since the start of the Champions League. Sergio Ramos, Cristiano Ronaldo and Lionel Messi are still playing in the Champions League. Former Champions League football stars in this favourite Champions League team are Alessandro Nesta, Carlos Puyol, Steven Gerrard, Xaxi, Thierry Henry, John Terry, Pavel Nedved, Ronaldinho, Kaka, Zinedine Zidane and Zlatan Ibrahimovic. Support your favourite club at home Stadium matches and away games. Devoted fans travel to cheer for their beloved sides and favourite players! Join in the excitement and fun of the Champions League tournament - sit with other enthusiastic fans in the midst of the contagious energy of the Champions League matches! Buy hot Champions League tickets online at 1st4FootballTickets.com and enjoy an unforgettable football evening or afternoon with local fans, watching your favourite club in live action. Leading up to the 2019 Champions League Final clash at Wanda Metropolitana in Madrid, there are some not-to-be-missed battles between the biggest clubs in Europe. Buy your CL tickets now online! The Challenge Cup, was the first Pan-European tournament. This tournament was a competition between clubs in the Austro-Hungarian Empire. Several tournaments followed the Challenge Cup’s footsteps. Editor of L’Equipe, Gabriel Hanot, managed to convince the UEFA in 1955 to arrange a European tournament between teams out of several European countries. This was the beginning of the European Champion Clubs’ Cup. 16 teams participated in this tournaments: Milan, Aarhus, Anderlecht, Djurgarden, Gwardia Warszawa, Hibernian, Partizan, PSV Eindhoven, Saarbrucken, Servette, Sporting CP, Stade de Reims and Voros Logobo. Real Madrid won the very first title in the final against Stade de Reims. This first European Champion Clubs’ Cup took place at Parc de Princes in Paris. In 1992 the UEFA introduced the UEFA Champions League, as replacement of the European Champion Clubs’ Cup. In this year the UEFA added group stages to the tournament and allowed multiple entrants per country. This gives the strongest European football nations the opportunity to provide up to four teams for the Champions League. 32 teams are participating every Champions League in the main tournament. Several qualifications matches are played to decide which 32 teams are joining the top of Europe. Real Madrid is the current title holder. The Royals out Madrid won their 13th Champions League trophy after beating Liverpool in a trilling final. Madrid is with 13 Champions League trophies the record champion. Ac Milan is in second spot with 7 trophies, their last Champions League victory was in 2007. Other multiple Champions League winners are among other Bayern Munich, Barcelona, Liverpool all 5 trophies and Ajax with 4 Champions League trophies. It’s no surprise Spanish teams collected the most Champions League trophies (18 all together). Italy is with 12 trophies (plus 15 runners-up) second on this list and England third with 12 trophies plus 7 runners-up). Iker Casillas is the record player in the Champions League. He had 167 Champions League appearances at the start of season 2018-2019. He played the most of his career for Real Madrid. After he lost his spot in the first team, Casillas moved to Fc Porto in 2015. 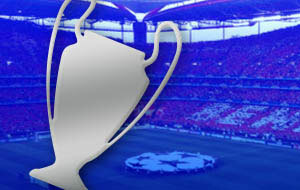 With Porto he qualified for the 2018-2019 Champions League tournament. Two of the best players of the moment are fighting for the top scorer title in the Champions League. After the 2017-2018 Champions League season, Cristiano Ronaldo is on the first place with 120 goals. Lionel Messi is second with 100 goals. The match between Ac Milan and Liverpool is probably the most legendary Champions League final until date. Liverpool delivered the master of all comeback’s in this Champions League final. Both teams had some world star players in their line-up. Ac Milan played with Dida, Cafu, Stam, Nesta, Maldini, Pirlo, Gattuso, Seedorf, Kaka, Shevchenko and Crespo. Liverpool started this final with Dudek, Finnan, Carragher, Hyypia, Traore, Luis Garcia, Xabi Alonso, Gerrard, Riise, Kewell and Baros. This final was played at Ataturk Stadium in Istanbul. It was Ac Milan’s captain Paolo Maldini who scored the first goal off the match within 1 minute after the first whistle. This goal gave the Italian side a head start for this exciting final match. Ac Milan striker Hernan Crespo scored two goals in five minutes’ time before the end of the first half. Both teams went back to the dressing room with a 3-0 advantage for Ac Milan. The second half however was for Liverpool. It was their captain Steven Gerrard who led his team with a goal back in the game in the 54th minute. Only 6 minutes later it was 3-3 by goals of Vladimir Smicer and Xabi Alonso. Liverpool eventually won the trophy after penalties. Every Liverpool fan still knows every detail about that amazing comeback against Ac Milan. Leicester City is the tenth English contender in the Champions League. Blackburn Rovers, Tottenham Hotspur, Newcastle United, Leeds United, Manchester City, Liverpool, Chelsea, Arsenal and Manchester United. Manchester United is with 381 points the team with the most points in the Champions League. Liverpool however is still England’s most successful Champions League contender. Blackburn Rovers is with 1 win in 6 matches the least successful English Champions League team. Four English team are playing in the 2018-2019 Champions League. Manchester United, Tottenham Hotspur, Liverpool and Manchester City will battle for the trophy this season. All teams have a good chance of reaching at least the round of 16. To win the trophy they need to compete with European giants like Bayern Munich, Borussia Dortmund, Real Madrid, Atletico Madrid and Fc Barcelona. There are always some surprises in a Champions League tournament. So, who knows which team can surprise the supporters this year! It’s definitely possible that one or more English teams will reach the semi-finals this year! In order to reach this far, they need your support, so book tickets for your favourite team safely online through the 1st4footballtickets booking system. Since they named the tournament the Champions League they chanced the tournament structure. At this moment the tournament starts with 8 groups of 4 teams. All teams play twice against each team of their group. After these matches the numbers one and two of the group continue to the round of 16. The numbers three in the Champions League groups qualify for the Europa League round of 32. From the round of 16 it becomes an elimination tournament. Teams play a home and away match and the team with the best results continues to the next round. The Champions League final is the only match in this tournament which will be decided in one match. Every year the final will be held in another European country. The Champions League is just the place for the best players in the world. Also the best managers want to participate in the Champions League. Three managers managed to win the Champions League three times so far. Bob Paisley won the title three times with Liverpool. Italian manager Carlo Ancelotti won the Champions League twice with Ac Milan and once with Real Madrid. Ancelotti is currently working at Bayern Munich so he still can win his fourth title. Zinedine Zidane is the last one with three Champions League trophies as a manager. He won the last three editions of this tournament. 16 managers won two Champions League trophies during their career. Several of them are still active as manager, so they will do everything they can to win at least their third Champions League trophy of their career. Zinedine Zidane won the last three Champions Leagues as manager of Real Madrid. As a player of Real Madrid he won the 2001-2002 Champions League. This makes Zidane the seventh man who won the Champions League both as player and as manager. Miguel Munoz was the first person to win the title as manager and as player. Giovanni Trapattoni, Carlo Ancelotti, Johan Cruyff, Frank Rijkaard and Pep Guardiola followed his footsteps. The Champions is the place to be for every football player and manager who wants to become a legend. We offer you the perfect opportunity to watch future legends live in action. Book your Champions League tickets through our secure booking system and watch todays and tomorrows legends live in the most beautiful stadiums of Europe! Clubs aren’t just playing for prestige in the Champions League. Winning the Champions League can be very lucrative for every team. The prize money is divided in two parts. Part one is the fixed amount of €724,4 million. This will be divided per team based on their performance. The team that wins the tournament will earn an amount of about €50 million. The second part is the market pool. This contains an amount of €482,9 million. We will spare you the details, but the money every teams gets out of the market pool is based on their country and the value the team has for the tournament. The biggest clubs will always get the biggest part of this market pool. Although it doesn’t always sound fair, it’s logical the teams with the biggest fan base, who sell the most Champions League tickets, earn the most money.